This 1,000 round bulk pack of .380 Auto from Tula is one of the most economical ways to stash away training and range ammo for your favorite pocket pistols. 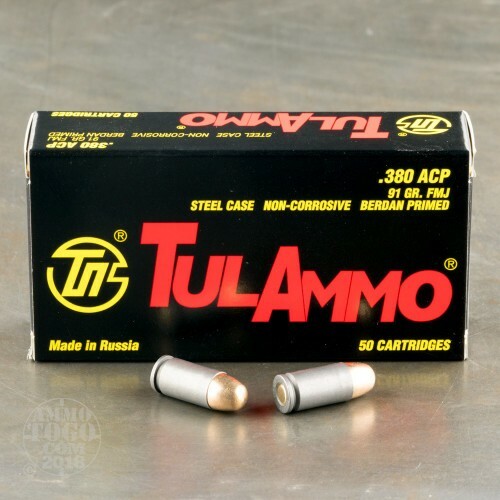 The Tula Arms Plant is one of the largest firearms and ammunition manufacturers in the world and has a history spanning over three centuries; extensive experience in mass production during wartime has led to unmatched efficiency which translates to low cost and quality products for shooters. 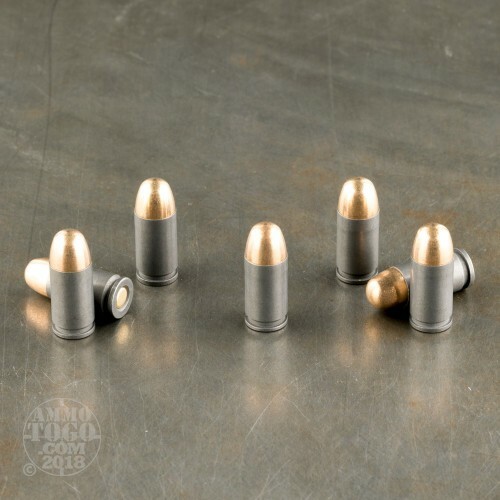 Each of these rounds consists of a non-corrosive Berdan primer affixed to non-reloadable steel casing which is crimped to 91 grain full metal jacket (FMJ) projectile. 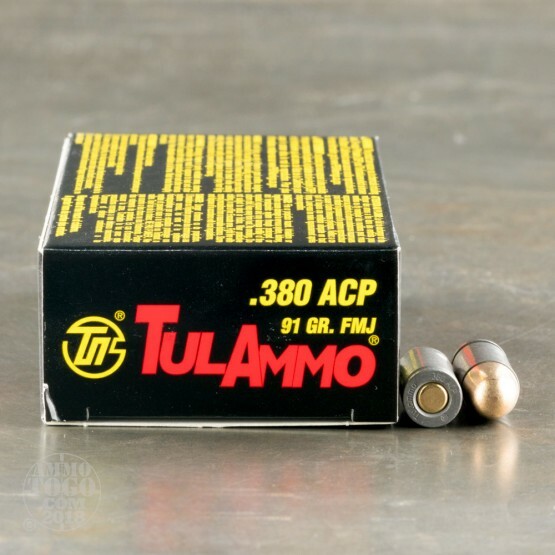 91 grains fits the common range of .380 ACP bullet weight and will provide recoil impulse likened to most defensive choices. The round shape of the FMJ projectile will feed reliably in the newer Ruger LCP, S&W Bodyguard, Taurus TCP, and Glock 42 as well as the older Bersa Thunder and Colt Mustang. Purchased as practice ammo for my Keltec P3AT 380. This is my concealed carry pistol, so I bought 1000 rounds. First time at the range it continuously jammed, and I finally gave up. I purchase a Taurus 380 revolver just so I wouldn’t waste the ammo, it doesn’t jam in the revolver. 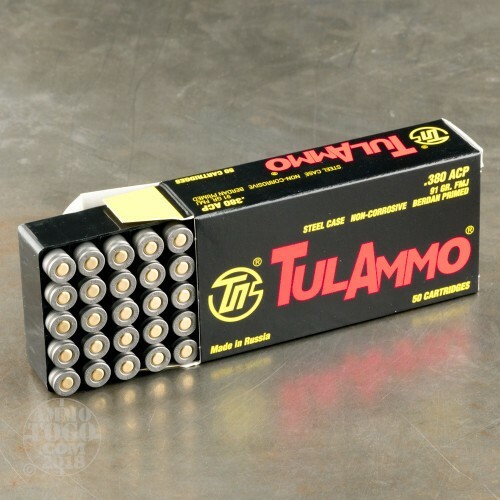 This ammo is junk and I wouldn’t recommend it, don’t waste your money!